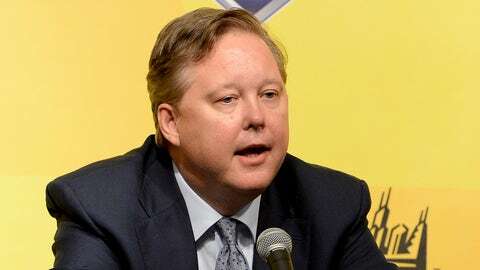 NASCAR Chairman Brian France will address the media Thursday in Charlotte, N.C.
For the fourth time in 11 seasons, NASCAR is expected to overhaul the points system in its flagship Sprint Cup Series, with this change expected to be the most radical yet. 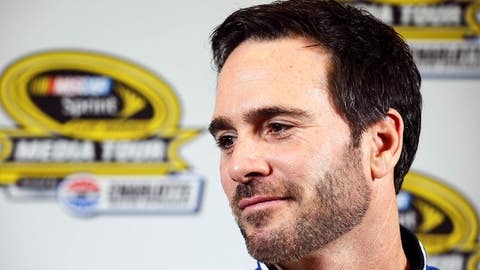 — The field for the Chase for the Sprint Cup will be expanded from 12 to 16 drivers. — After the third race of the Chase, the bottom four Chase drivers will be formally eliminated from championship contention, leaving 12 drivers to fight for the title. — After the sixth race of the Chase, the bottom four remaining drivers will be eliminated, cutting the title hopefuls to eight. Are Chase changes designed to stop Johnson? — After the ninth race of the Chase, the bottom four remaining drivers will be axed, leaving four drivers to contend for the championship. — For the final race of the season at Homestead-Miami Speedway, the final four drivers will have their point totals reset so all four are tied. Whichever of the four drivers does best at Homestead will be the series champion for the year. If these changes are announced as expected, it will mark a sharp departure in how the champion is determined. From 1949 to 2003, NASCAR’s champion was determined by race results over an entire season, with an emphasis on consistency. In fact, NASCAR used a single points system from 1975 to 2003, one that legend has it was drawn up on a cocktail napkin at the Boot Hill Saloon in Daytona Beach by the late NASCAR historian Bob Latford. But after Matt Kenseth took over the points lead in the fourth race of 2003 and never again trailed despite winning only one race all year, NASCAR adopted the 10-race, season-ending Chase for the Sprint Cup in 2004. The sanctioning body expanded the Chase field from 10 to 12 drivers in 2007, and revamped the points system in 2011. Now, it appears ready to reinvent the wheel again. FOXSports.com will have full news coverage and analysis of today’s announcement following the NASCAR press conference.